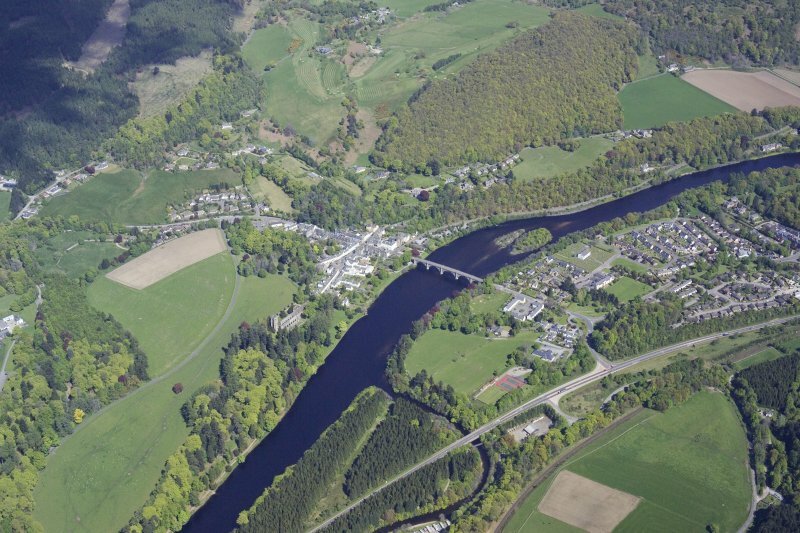 Dunkeld, Hermitage Bridge General view. 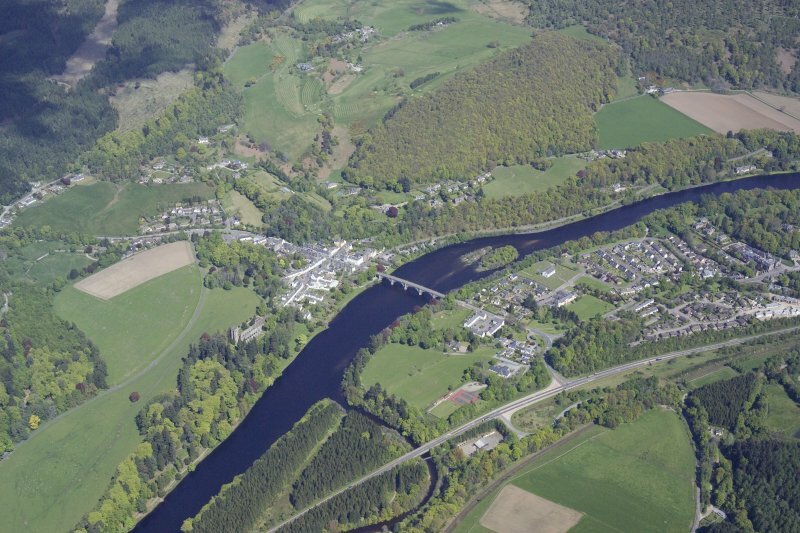 General oblique aerial view of Dunkeld and Birnam, taken from the WSW. 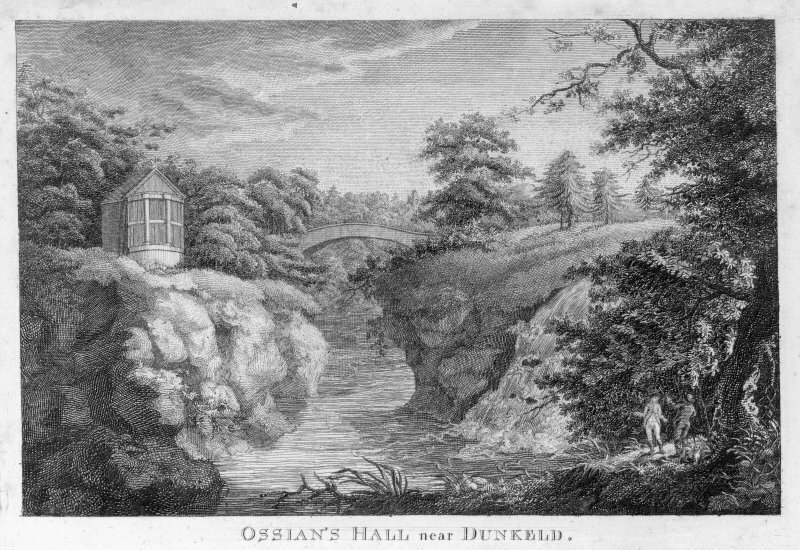 General view showing bridge, River Braan and Ossian's Hall, The Hermitage. 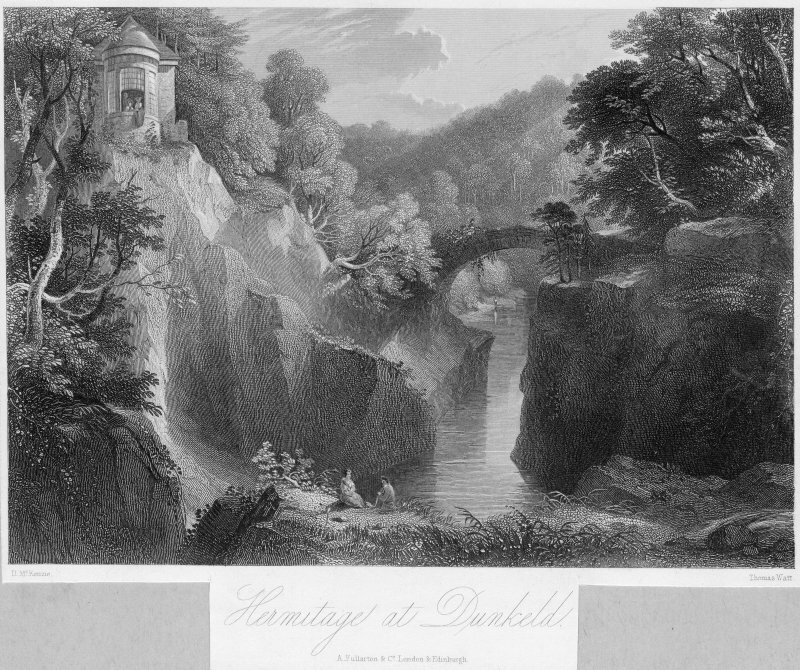 View of The Hermitage at Dunkeld. 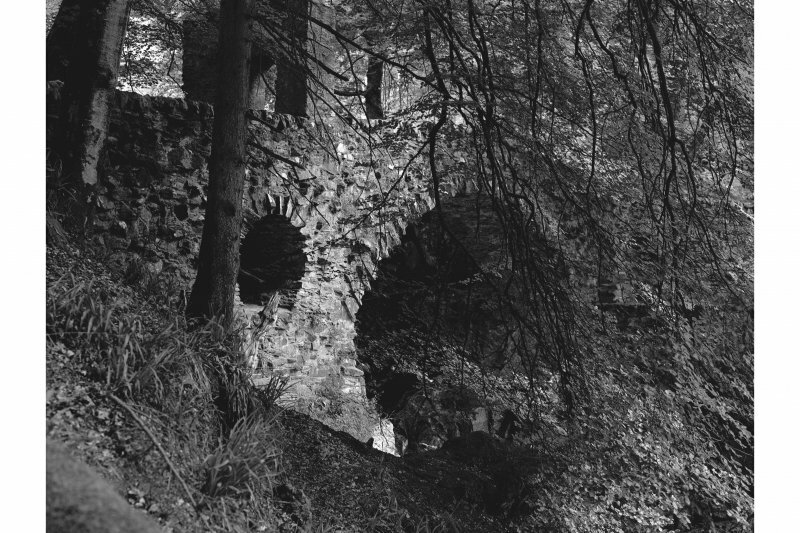 The arched bridge over the river Braan is built from rough, mortared stone, with a free-standing doorway on the southern side. This had a gate attached, although this has been removed. The bridge has had some repairs carried out, apparent from the iron ties set in places along its sides. Underneath its northern end, the bridge contains a small arch giving access to the ledge below Ossian’s Hall and to the small grotto noted above. 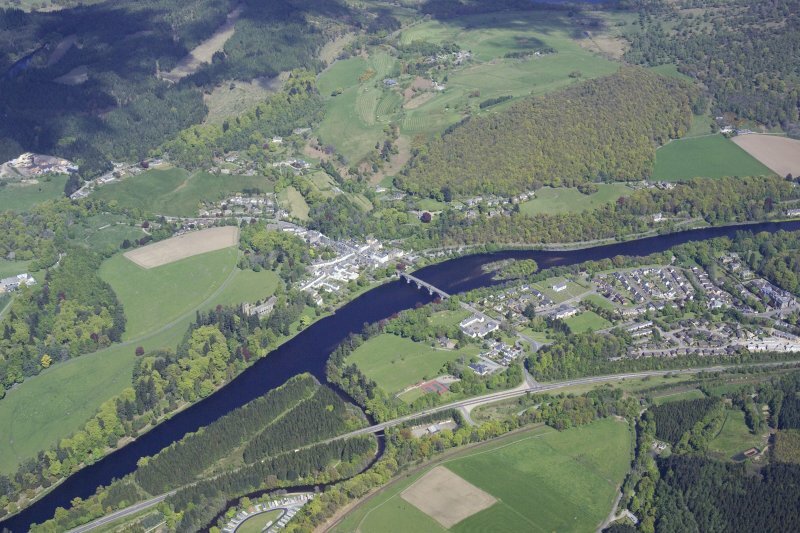 The bridge was built by the 3rd Duke, in 1774, presumably to gain access across to some lands leased from Sir John Stewart of Murthly (Dingwall 1995, 23), as well as exploiting and the views of the Linn and the falls. 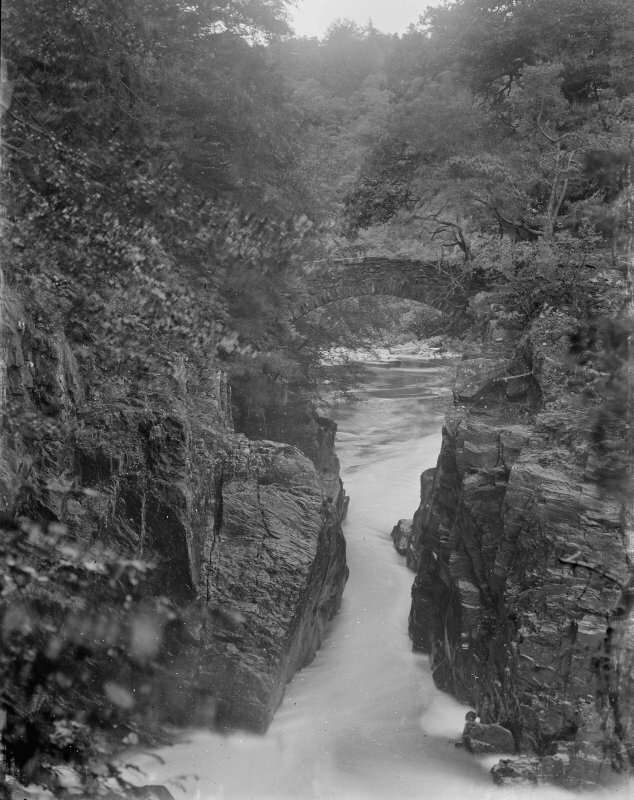 It has since become a major landscape feature and has been the subject of several paintings and sketches.